Police Arrest Gospel Musician For Armed Robbery. Nurudeen Ogundairo will do anything to finish the production of his first gospel album, with armed robbery chosen as one of his pre-launch activities. 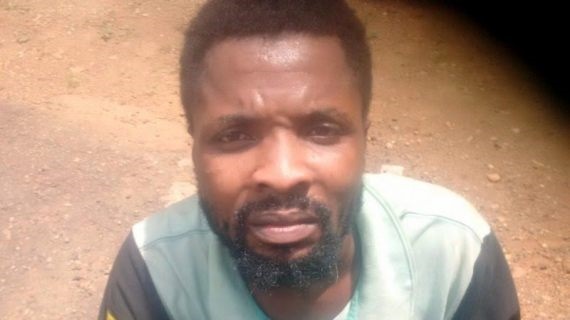 A self-acclaimed gospel musician, Nurudeen Ogundairo, will be singing the prison blues after being arrested by the police. The man was arrested in Ogun state for armed robbery. The suspect who seemed to be the leader of the gang was arrested with his alleged accomplices at their hideout planning to ‘raise money’ for the production of his maiden album. ‎According to the 28-year-old, the proposed album was scheduled for launch on July 24. "I am a gospel musician. I needed money to enable me to produce my maiden album and I got involved in robbery to raise money for the project. In fact, I had picked a date of July 24 to release the album to the public after the production," he said. "I hope I can still be forgiven by the police and God over my action. It was in a bid to make headway in my musical career that I took to robbery," he said.